Black Friday seems to have set another retail record this year ― for guns. The FBI told USA Today that the agency received more than 200,000 requests for background checks tied to firearm purchases on Friday ― a single-day record that’s about 17,000 higher than last year. That makes three straight years of record high gun checks on Black Friday. 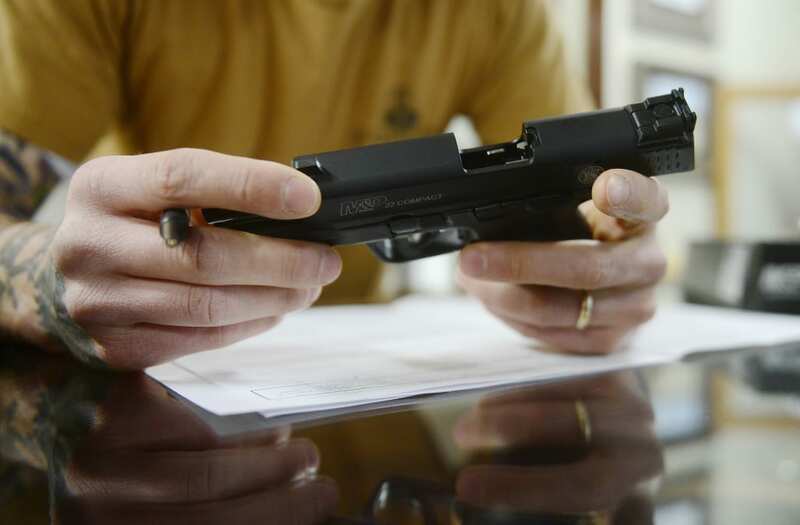 This year, the FBI received 203,086 background check requests for gun purchases. In 2016, it received 185,713 requests on Black Friday, up from the previous record of 185,345 set on Black Friday in 2015. The 2015 record smashed the previous single-day mark set Dec. 21, 2012, exactly one week after the Sandy Hook elementary school massacre in Connecticut. Of the 10 highest days for firearms checks, four are from the week following Sandy Hook. Mass shootings in the U.S. are becoming more common and more deadly, with three of the worst mass shootings in modern U.S. history in the past 18 months. Two of the five deadliest mass shootings in modern U.S. history ― the Las Vegas massacre in October and Sutherland Springs, Texas, mass shooting in November ― occurred within 35 days of each other. As USA Today points out, the number of background checks requests do not measure actual gun sales, since it only requires one background check for a buyer to purchase multiple firearms in a single transaction. So, the number of guns sold on Black Friday is likely higher than the number of background check requests received by the FBI. Since sale numbers are not public, NPR reports that background check requests are the best available proxy to estimate gun sales.